Did we mention that we love to party?! When you need to take your event to the next level of awesomeness, we got your back like chiropractic! We have a full fleet of booths ensuring the perfect fit for your specific needs, so go on- check out the goods! Have fun and look good doing it! Lightweight and compact with a 2'x2' footprint, the Social Light is our most fun and affordable option. It might be small, but it packs a huge punch! 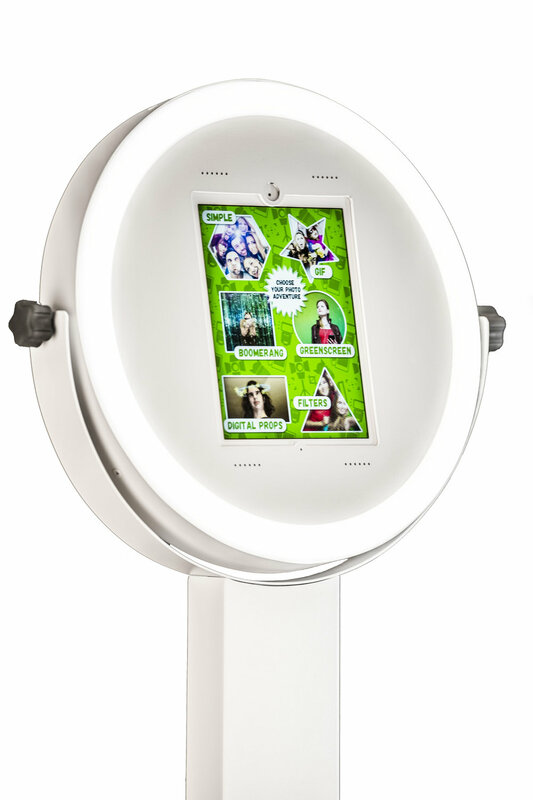 The LED ring light makes everyone look like an A-list celeb, so get that duck-face ready and come get your vogue on! Animated GIFs, boomerang, green screen, virtual props and social media sharing ensure this booth will be the life (and the light) of the party. This heavy-duty big boy is professional grade all the way! THIS 8'x10'OPEN-AIR CONCEPT BOASTS A PROFESSIONAL DSLR CAMERA AND STUDIO LIGHTING FOR AN ELITE EXPERIENCE. PREMIUM BACKDROPS, HI-RES TOUCH SCREEN AND LAB-QUALITY PRINTING IN SECONDS WILL KEEP YOUR GUESTS TALKING ABOUT YOUR EVENT LONG AFTER IT HAS ENDED. COMING SOON! BE SURE TO CHECK BACK AND BOOK YOUR GROOVY TRIP IN OUR '69 VINTAGE VW MOBILE PHOTO BUS, ROLLING INTO TOWN 2018.